Sebo’s Nursing and Rehabilitation is a skilled nursing facility located in Hobart, Indiana. We offer skilled nursing services and around the clock care in a comfortable and home-like setting. 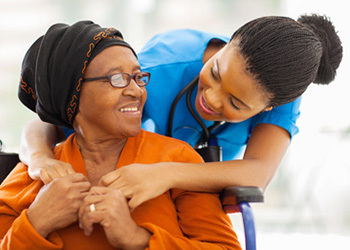 At Sebo’s our main concern is that our residents are reaching their maximum potential and goals, which we enable them to do by offering a pleasant environment while also providing the highest quality of care. From rehabilitation to dementia care, we believe that a nursing home should be more than just providing excellent care. It should be about increasing connections between families. Visit our services page for more information, give us a call, or schedule a tour of our facility today. 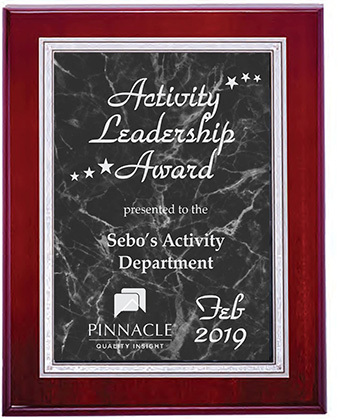 Pinnacle gave the “Activity Leadership Award” to the Activity Department at Sebo’s Nursing and Rehabilitation. Congratulations!